Selected employees' enrolment letters can be printed, exported to PDF or emailed, as required. Select the applicable employees and click OK. In a similar manner, more than one employee can be postponed at the same time. Selected employees' letters can be printed or exported to PDF, as required. 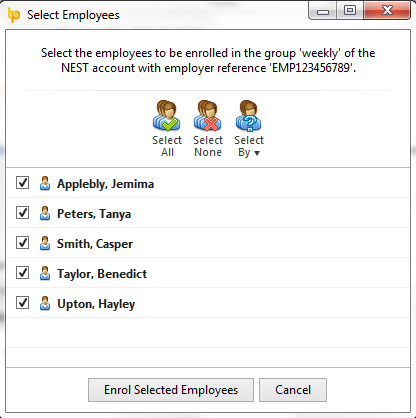 Select the employees for whom exemption applies and click Mark Selected Employees as Exempt to complete the action.